Dog Walking Service Tries to Cover up Death After Claiming Dog Was "Home Safe"
If you've heard of the apps Wag or Rover, you know how useful they can typically be. 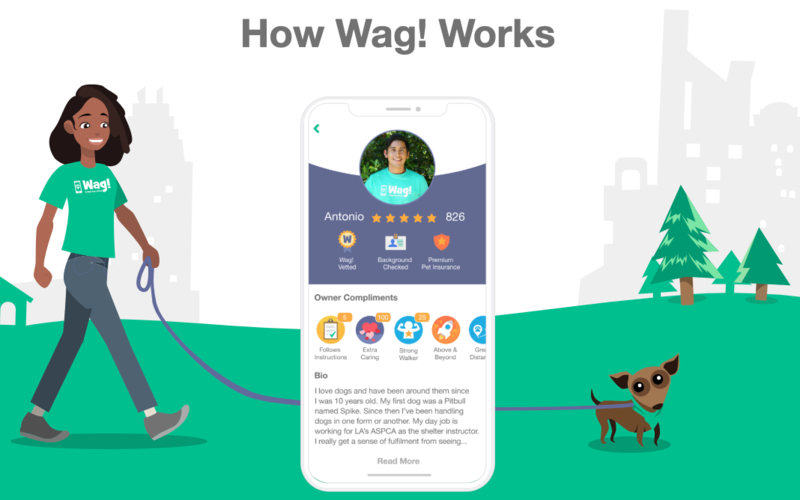 For dog owners with day jobs or who take the occasional vacation, these new "Uber, but for dog services" apps can hook you up with someone "trusted" who'll walk, stay with, or board your dog. 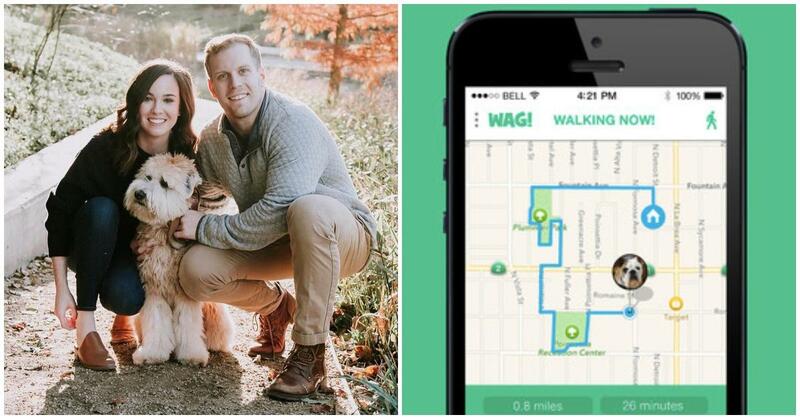 The people who hang out with your pet are "vetted, tested, and reviewed," per Wag's website. Except.... when they're not, and the company sketchily tries to hide the truth from you — after your dog's been seriously harmed. One unfortunate couple had a horrifying experience they've generously decided to share with others who use or are considering using the app. Nick Moore took to Facebook and Instagram to explain what happened to his precious BFF, Winnie, who sadly lost her life in the hands of a Wag! employee. "This post is not intended as retribution," he begins. "As many of you know, and many of you don't, on December 10 our precious dog Winnie passed away." 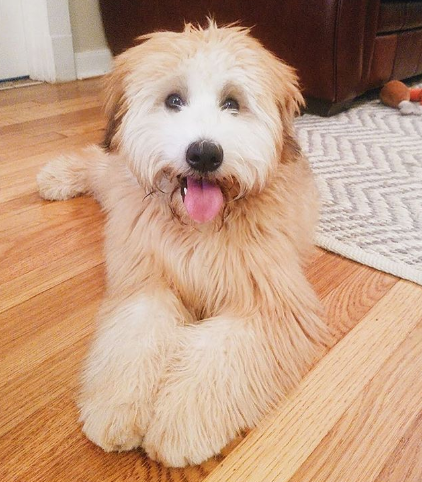 Winnie, who was a less-than-year-old puppy was hit and killed while out with a walker the couple ordered through Wag! "We used a Wag! walker on days that neither Sara nor I could come home from work to let Winnie out. We made a lot of great relationships through our use of Wag! and it allowed our sweet Winnie to be cared for while we maintained busy lifestyles," Nick writes. 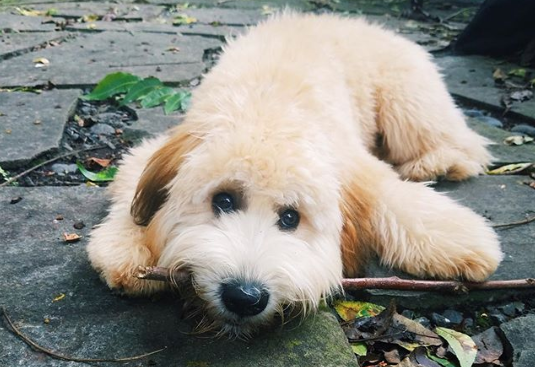 What's more, every dog walker fell in love with Winnie, who seemed super active and cuddly in the photos and videos of her on social media. "However," Nick continues, "since the incident, Wag! has been cold, unhelpful, and we believe less than truthful to us." 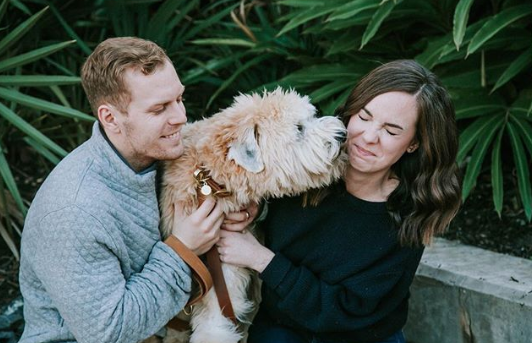 On the day their beloved pupper was killed, the couple ordered a dog walker like usual. "Each walker's profile shows their name, as well as a small paragraph about that particular walker," he writes. But the dog walker they had this day seemed to have contradicting information — specifically, the name on their profile didn't match the name in their bio. "Which makes me wonder if Wag! is monitoring whether or not the people walking your dog are who they say they are," he writes, contrary to the "trust and safety" their site assures. "Sara asked the walker what her name was, but the walker did not provide an answer," says Nick. Understandably, the two found this terribly unsettling — but since the walker was already with Winnie, there was little they could do at this point. Typically, owners receive an alert when their dog's walk begins and finishes. "When Sara did not receive the confirmation that Winnie's walk was over," writes Nick, "Sara became even more concerned. Sara texted the walker, but did not receive an answer." Then, things get frighteningly sketchy and low-key fraudulent. "When Sara called the walker," Nick continues, "the walker answered and assured Sara that Winnie was home safe. Five minutes later, Sara received a call from a Wag! representative saying that Winnie was not home safe, but had been hit and did not survive." What! What in the world is going on with these discrepancies?! As Nick tells it, "The representative told us that Wag! was opening an investigation." As you'll remember, this all happened in the beginning of December, and to this day, they still don't have a single answer regarding that day's accident or the subsequent investigation. If fact, according to Nick, "Wag! has not provided us any information, and the walker has not contacted us." To make matters worse, the company didn't just ghost this couple — they also reneged on promises they made to "take care of all expenses," such as Winnie's cremation and clay paw print. Instead, they hit the couple with a bunch of legalese, making them sign "a settlement and nondisclosure agreement" before they would compensate or reimburse them for their loss and memorial costs. "If we wanted to be compensated," Nick writes, "we had to agree not to tell anyone what happened, we could not leave any negative reviews, we could not make posts on social media, we could not hold Wag! or the walker responsible, and only then would Wag! reimburse us for Winnie's cremation." 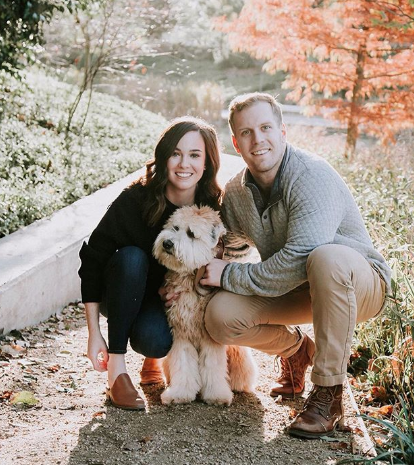 This kind of behavior is totally disgusting and not at all what the couple agreed to after their dog was killed at the hands of "a new walker who unfortunately was careless, resulting in Winnie being hit." The couple refused to sign this agreement, and though they were initially told that "the agreement would remain available in case we changed our minds," it was rescinded the next day, in "an email stating that the agreement was now 'null and void'." Although this resilient couple is taking the high road and choosing not to dwell on this horrific incident, we're thankful they shared their experience with anyone who might be considering using Wag's services in the future. "We want to be clear that this post is not out of anger or for sympathy," they write, "but only because if this information was out 6 weeks ago, things may be different for us." 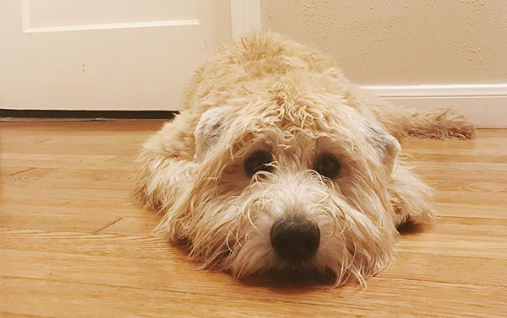 Our hearts break for Nick and Sara, who lost their adorable Winnie way too soon. And it's not even the first time Wag! has been accused of neglecting dogs. Recently, two dogs nearly escaped death after being lost by their walkers. Next time you need to leave your dog alone, be sure to read extensive reviews of the service and of your walker, specifically. It's also really helpful to add your own reviews of walkers you like and dislike, so that future customers might have the chance to vet the service before anything terrible happens to their furry best friends.